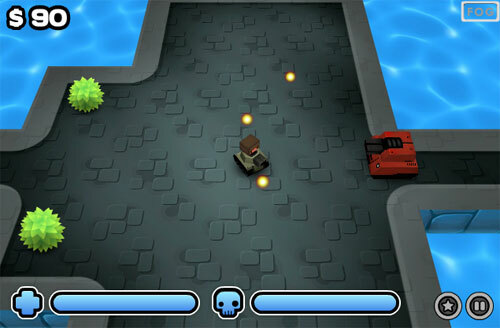 Description Cube Tank Arena is an action-packed 3D shooting tank game. Across five arenas, you must blast your way though waves of minibots before taking on a challenging boss, loaded with powerful weaponry that'll turn you to scrap if you don't keep your cool. In spite of the odds, you're not completely without hope; you can rack up coinage from destroying enemies, and use the cash you upgrade your arsenal so that it will hold their own even against the champions of the arena! Cool 3D mini game! Nice!